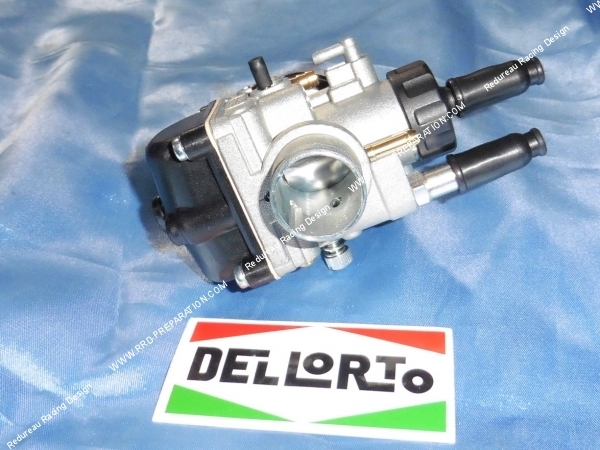 The real DELLORTO PHBG 21mm BT soft, choke with cable and possibility of separate lubrication! SPECIAL: Screw-on ball cap! 64,02 € 64.02 tax incl. 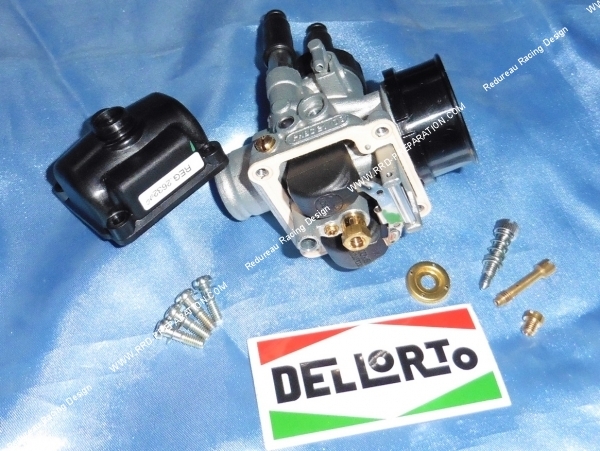 The very well known phbg 21 BT carburettor is a good dell'orto carburetor, often delivered with the 21 malossi pack or will put kit very high performance for a reduced price. In male type it allows you to fit it in a flexible pipe without sleeve or with a sleeve on a rigid inlet pipe. 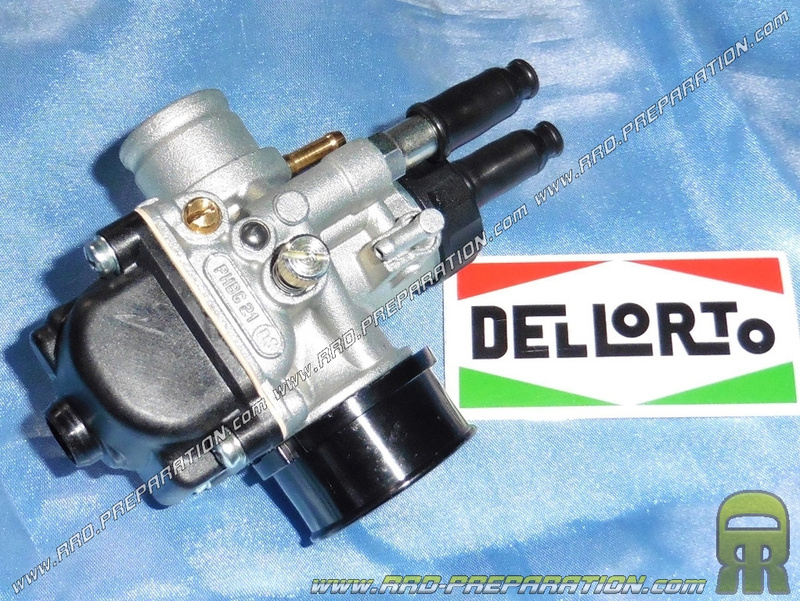 It therefore allows to have a short carburation which favors the acceleration and the recovery. 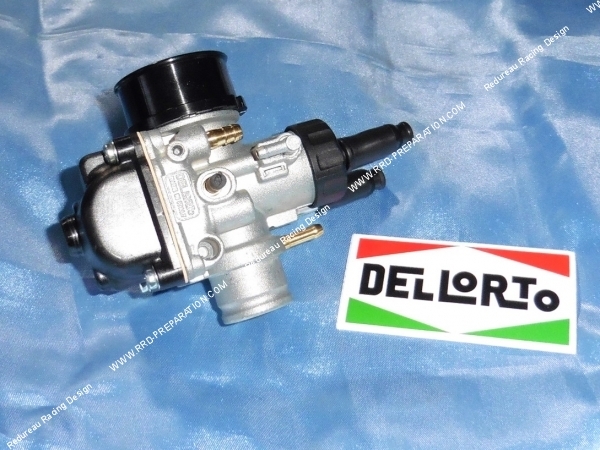 It is a carburetor often used in competition, reliable, light, inexpensive and high performance. This version has a "depression outlet", this allows to connect a pipe to operate the vacuum gasoline taps. Its adjusting and repair parts are easily found at low prices. We also sell for the most passionate and preparers of enters you the version black edition which is reviewed and corrected and which has like this one of a lid to screw! 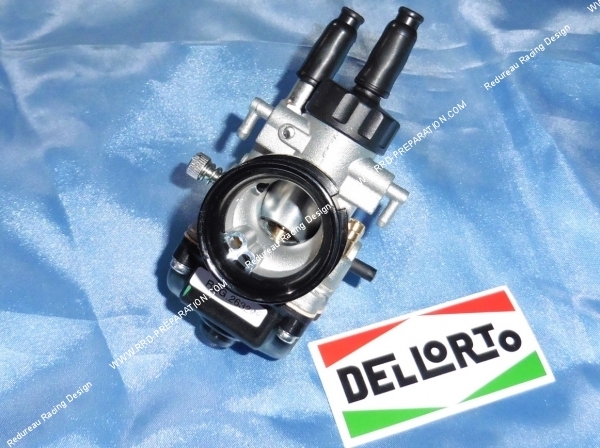 The low consumption, the little noise it causes, the power and recovery it offers have made the reputation of Italian carburettors DELL'ORTO. This SPECIAL version has a "screw-in" screw cap , this offers quick disassembly / reassembly, ideal for needle adjustments and cable changes! This is much more practical than the 2-screw lids or it is often necessary to tilt / remove the carburettor.